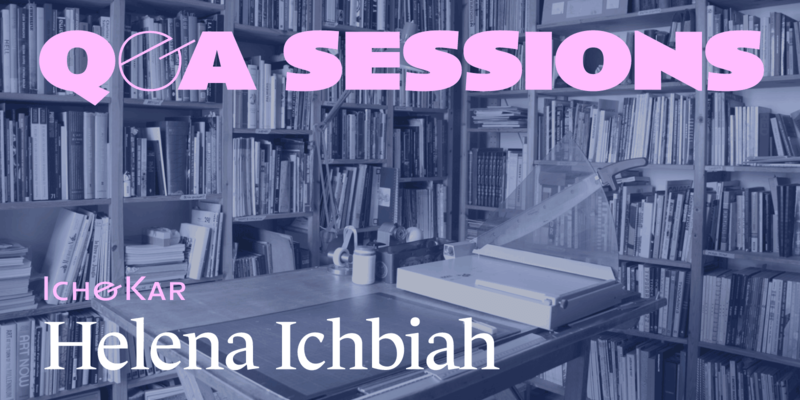 This week we chatted to Helena Ichbiah. Helena is one half of the French duo Ich&Kar, a French art direction and graphic design studio. They have over 20 years of experience, working with clients like Sketch, Milk Factory, Pierre Hommé and more. Their motto is to ‘think outside the box’; and this is the driving force behind each project. Typography is one of those mediums — in combination with color and graphics — that will determine the mood of a design. It will express a lot more than you’d think. Choosing the right typeface is like choosing the right outfit for the right occasion. I don’t really have dreams that I can’t accomplish, it’s too frustrating. This questions sounds like one of those impossible ones I’d prefer not to think about, so let’s say I’m happy to live now, even though sometimes I find this period’s acceleration nasty. I love to remember the times when we had time… this was just before internet hahaha!!! The creative process not so much, it’s the time frame of the project and the scope of the project that have changed… A lot more digital, more directed at social media. We are working like craftsmen of the new century! The Wonderfull Sketch’ Voucher Box by Ich&Kar. I listen to a lot of podcasts of radio shows, I have a big book collection that includes more than a thousand dictionaries. I have a scissor collection, a hand collection and much much more. I often listen to tv shows, without watching them, so I can watch everything, even the very bad stuff. I’m actually pretty curious, but I have no favorites – this again makes me think about time. 10 or 20 years ago I would have been able to respond to these questions… I would have said 6 feet under. We just finished an interior design project in New York City, French Cheese Board. I’d love to enter a new field but with our graphic designer eye! I find that the most recent project is often the most satisfying, and the next one as well.